Sometimes we do not appreciate things until they are gone. My good friend Jeff sent this picture to me the other day and I have been thinking about it for a while. Arlene was hands-down the best waitress at The Lamplighter in Chatsworth, CA. Jeff and I used have lunch there fairly often and while there were younger, prettier waitresses, we were very happy to be in Arlene’s section. She remembered our drinks, our favorite lunches and if one of us showed up solo, asked where the other guy was that day. Arlene had that kitchen humming. Whenever Arlene had the day off, we knew our lunch would take 15-25 minutes longer to get delivered. High-spirited does not even begin to describe her. Quick with a joke or console you depending on your day. We loved Arlene. And she loved us. I changed jobs a couple of years ago and haven’t been there since. But I will always remember Arlene, who gave us the safe, nurturing feeling that gave us the courage to push on in business. People that we would never suspect touch our lives in surprising ways. G-d bless them and all of you. 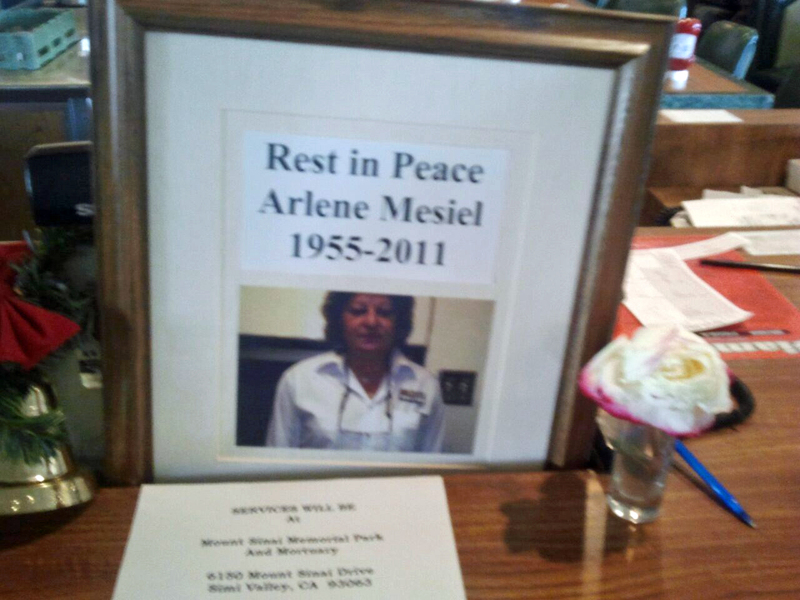 Rest in peace Arlene, we miss you.